Today’s Pick is TOOOO Gorgeous!!! 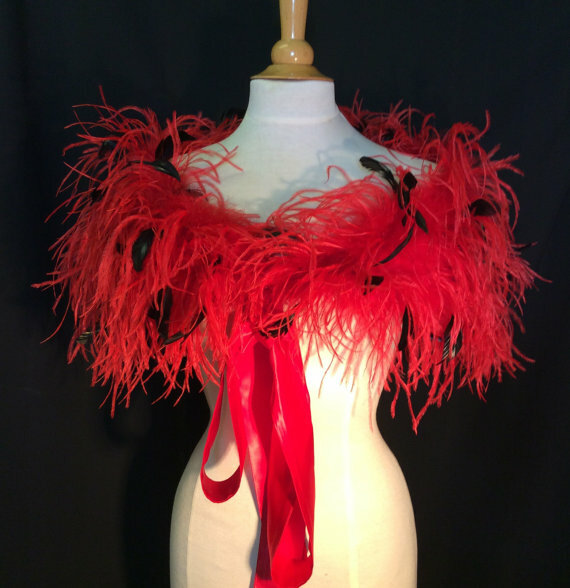 This shoulder wrap has been made from Red Ostrich feathers and black Coque Feather. This stunning piece is the perfect solution to add a dramatic look to any dress. Great little cover up. It gives a real Roaring 20’s inspired look. Today’s Pick is Stunning Adornment! 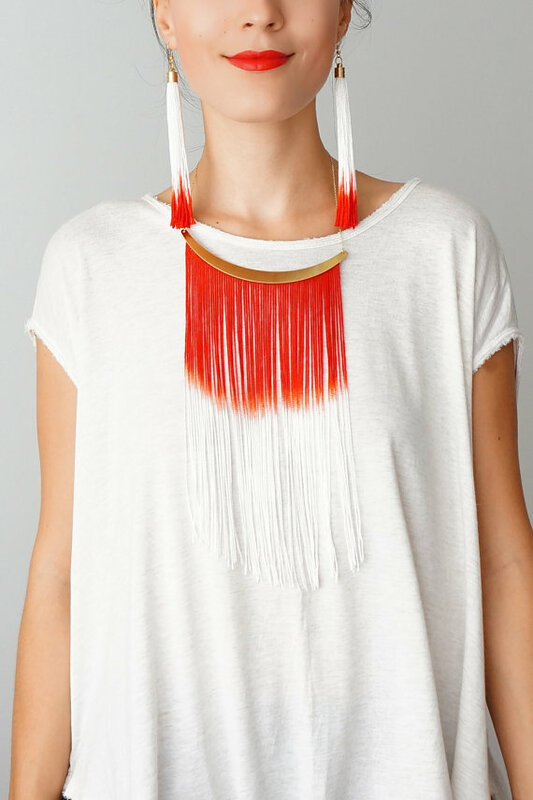 A very unique necklace and earrings to add a little extra to your outfit. You’ll definitely be hearing lots of compliments where ever you wear it. Made of fringes, brass arc and chains. Today’s Pick is the perfect topping for your Fall/Winter party attire. 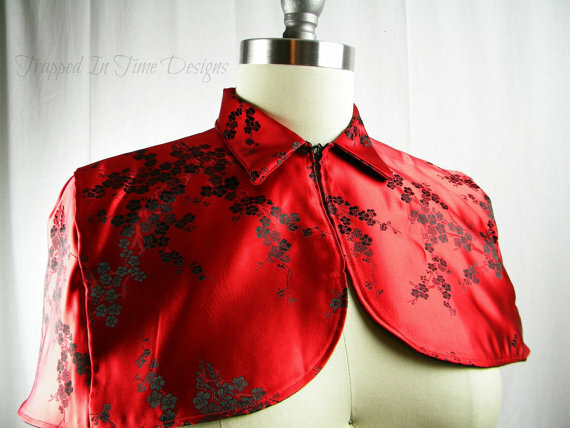 Absolutely gorgeous red and black brocade capelet, fully lined in black twill. Structured shoulder and attached collar. 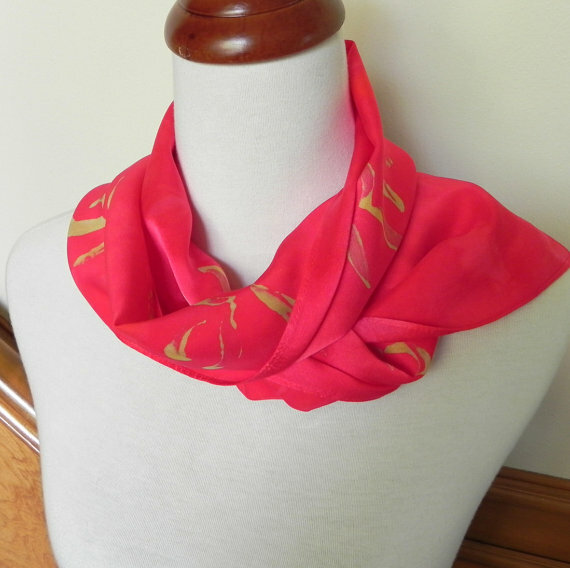 A one of a kind hand dyed silk scarf from RosyDaysScarves. It is made of 100% Silk Satin and dyed in shades of samba red and golden yellow. Today’s Pick of the Day is FAB for Fall! 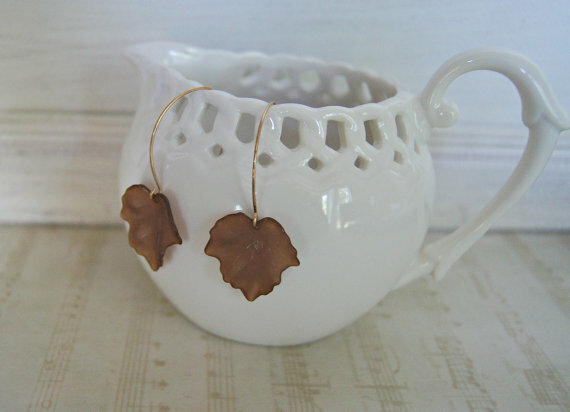 Beautiful brass fallen leaves dangle earrings. The perfect addition to your Autumn wardrobe. From SAjolie ~ 7.15 + Free Shipping!